Following the usual prospects tournament between the Pittsburgh Penguins, Toronto Maple Leafs and Ottawa Senators, the Penguins made some roster cuts. A disheartening 0-2-1 performance in the tournament lead to the release of forwards Christian Hilbrich, C.J. Yakimowicz and Pat Megannety, as well as defensemen Dawson Davidson and Gabriel Sylvestre, from their tryout contracts. 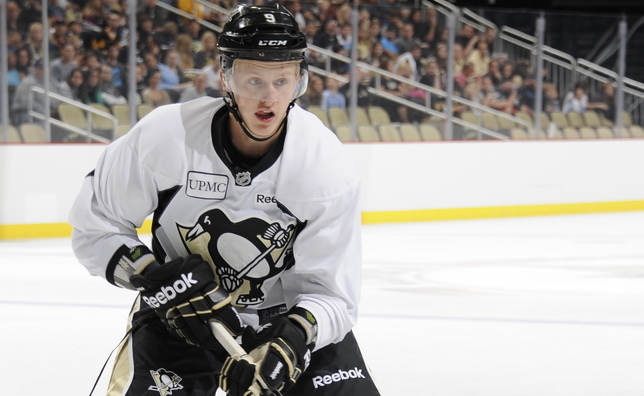 On the flip side, the Pens have invited five players from the rookie tourney to training camp. These include forwards Milos Bubela, Reid Gardiner, James McEwan and Gage Quinney, in addition to defenseman Brandon Crawley. The tournament wasn't for nothing, however, as some of the premier prospects in the Pittsburgh Penguins organization were showcased, including Jake Guentzel, Lukas Bengtsson, Dominik Simon and Teddy Bluegers. Training camp begins in Pittsburgh on Friday, September 23rd.